Shiva is one of the most celebrated and worshipped deities in Hinduism. He is one among the Trimurthi’s and is considered as the destroyer and the transformer of evil. 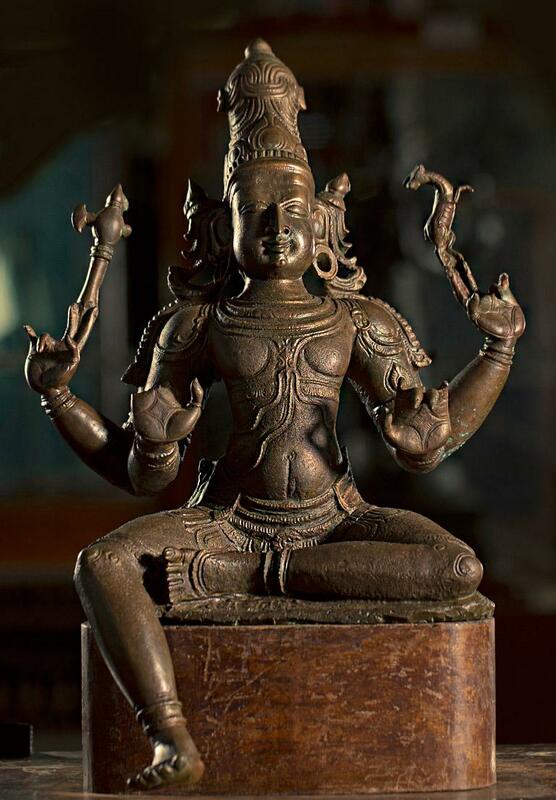 This brilliant sculpture of Lord Shiva has four hands and is in seated posture. The upper hands hold parasu and deer. It is probably of the somaskanda group.